Never part with your camera and dream of starting a photography business? With such a high demand for photographer’s services these days, you won’t have a problem finding new customers and filling a specific market niche. 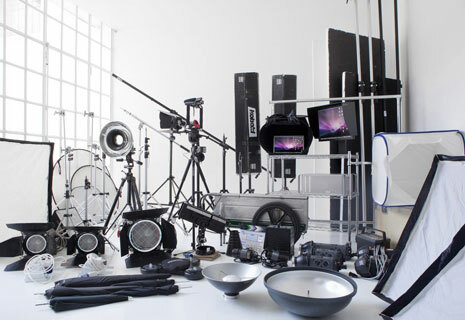 Although a photography business requires a wide set of skills and certain talent to make it work, there’s also other preparations you should make to give your commercial idea the right start. So, what do you need to become a photographer? How to run a photo studio more successfully? First of all, it may be necessary to acquire licenses to register your business with your local or state government. Next, there’s essential equipment you need to open your own studio. Here’s a complete actionable tutorial on what to buy first and how to use it. When thinking about the must have photography gear required to start your photography business, it’s only logical to begin with choosing your main work tool - camera. To pick the best camera for you, decide on your needs. Obviously, high-end commercial photographers need a high-resolution medium-format system, but you might do with a small and light crop frame mirrorless camera. Ask yourself how fast the autofocus should be. How much high ISO power do you really require? Are the camera lenses you want to use available on that body? Basically, the camera you’d choose should feel good in your hands to ensure comfortable working conditions in your early days as a professional. Most likely, you’ll begin your journey as a small business owner with one or two kit zoom camera lenses in your starter kit. These are a great tool for learning and will give you an idea of your future photography preferences. 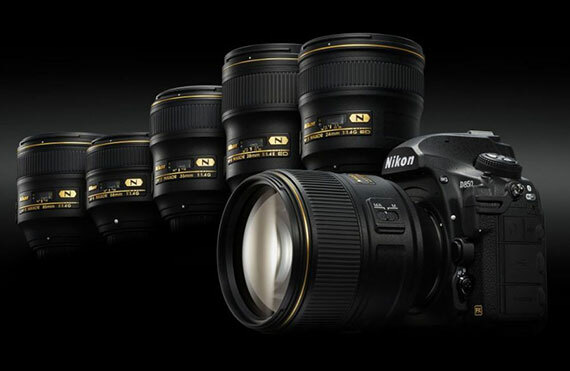 It’s better to rent some lenses before you buy if that is an option. This way you can test different types, like wide angle, before making a financial commitment. Another way to look into camera lenses is to decide the types of pictures you want to take. Perhaps you only want to shoot tight portraits. You might want to invest in either an 85mm prime lens or a 70-200mm zoom lens. Eventually you’ll need and want more than just one, but you can take care of it later in your career. 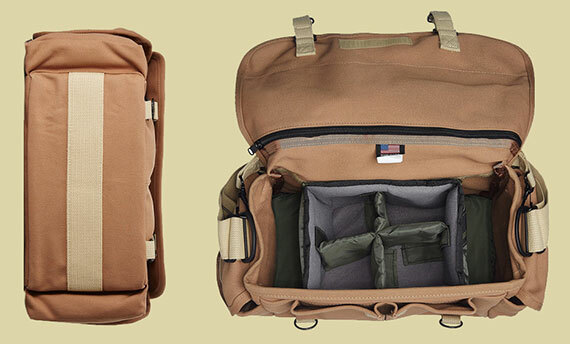 A professional photographer equipment list won’t be full without a good camera bag. When you’re moving your gear from one place to another, you need to make sure it’s well-protected. If you invest in a safe bag, it’ll surely keep your camera from getting broken or damaged. For example, sleek black shoulder bags are available in a range of sizes, each with padded interiors and retractable rain flaps. To be on the safe side, opt for a water-resistant canvas bag that can be worn across the shoulder or on the hip to ensure you’re comfortable on a trip. Memory is what gets your images home safely. 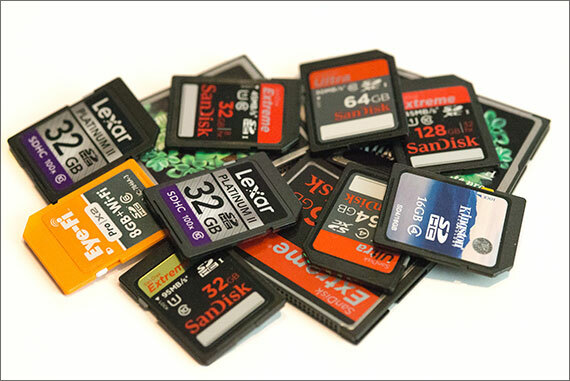 Investing in high-quality memory cards from reputable sources is crucial for making sure you don’t lose your images. When it comes to choosing an SD memory card for your camera, there is a lot of options not only differing in speed and capacity, but also brands and budget. If you’re a beginner, it's a good idea to focus on card capacity above all else. Once you’ve gained more experience purchase a fast memory card to speed up your workflow. Also, don’t forget to buy a few spare cards in case something goes wrong during a photo session. However big and great your talent may be, your first few jobs are not likely to be high-end clients. There’s a high probability that you’ll be working with small local businesses. To find your feet and build your own customer base, it’s a good idea to start taking ID pictures. If you want to automate routine tasks and have more time for creative development, you’ll need professional photography software. 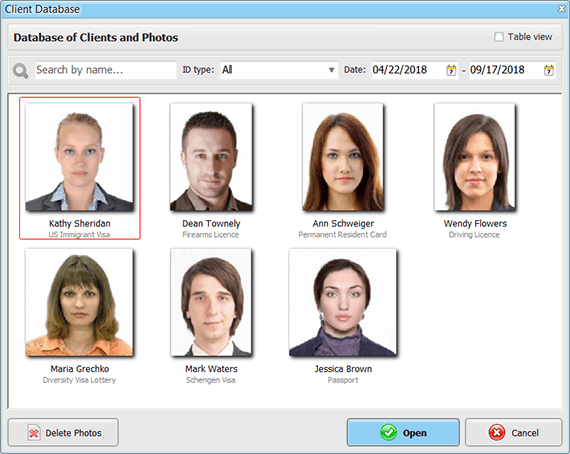 Passport Photo Maker is an easy-to-use yet powerful program that lets you edit images in accordance with official requirements for each type of documents and run your photography business effectively - manage the prices for your services, keep the client database to restore any photo and track the completed orders. One of the most common orders is to make a 2x2 inches photo for the US passport or visa. With Passport Photo Maker, you won’t have to check out the latest requirements on the official website or set the necessary margins in some image editor. This 2x2 photo maker is the ultimate solution when you need to take the process of preparing ID pictures to the assembly line. 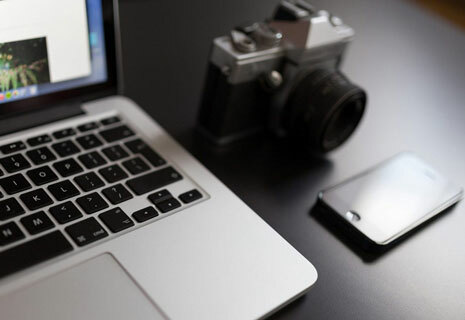 While improving your skills and gaining some authority in the photographers’ community, you’ll also need to master Adobe Lightroom or Photoshop to move one step closer from basic image editing to artistic photography. Among other photography tools you’re going to need is a tripod. A good all-purpose aluminum tripod with enough support for camera systems can help you keep your camera steady and allow you to take many pictures of each subject without moving the camera around. Opt for a tripod with a ratcheting system for the leg angle locks that lets you keep your hands free of pinching once you pull out the stop. 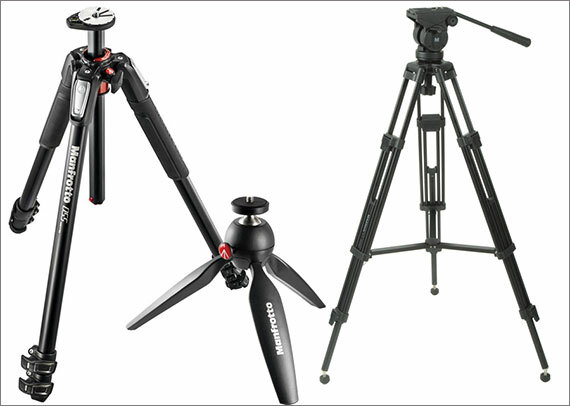 However, don’t be in a hurry to spend a little fortune on a mini-tripod or a portable model. They won’t become your jack-of-all-trades tools and won’t be needed until you decide to make a commitment to landscape photography. Light is an essential element of any good picture, and thus should certainly be included in your list of photography studio supplies. And while natural lighting is usually preferred, you should definitely prepare for situations when there isn’t sufficient sunlight. Think about investing in a speedlight, light stand or reflector. To make up your mind, rent it wherever possible until you know exactly the level of quality and power you will require. 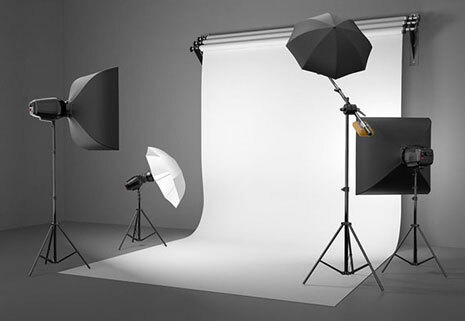 Depending on what types of photos you plan on taking, you might find it necessary to purchase or create some backdrops that you can use for studio or portrait photos. 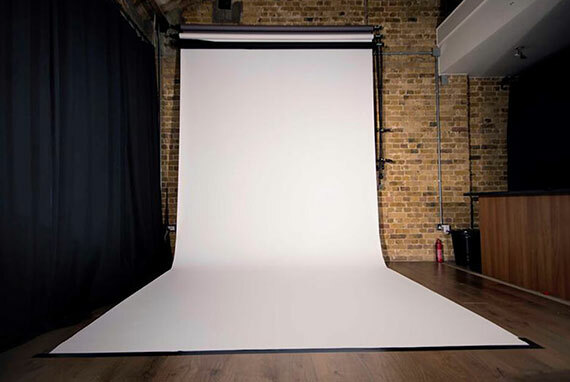 Photography backdrops come in a wide variety of sizes, textures and materials. They also range from simple solid colors to subtle patterns. For example, location photographers rely on backdrops collapsing down to flat discs and offering two color schemes and/or designs, one for each side. Chroma key backgrounds coming in green or blue allow photographers to edit the photo and digitally insert details that the studio setup is lacking. Made of moderately thick, heavy material, canvas used to be the most popular among photography backdrops. However, due to its bulk and cost, it has been overshadowed by muslin backdrops in terms of popularity. Although filters can be underrated these days, they can definitely improve the quality of the processed photo. Warming or cooling filters are often used for adjusting color temperatures. For landscape photographers, two of the most beloved types of filters are neutral density and circular polarizers. 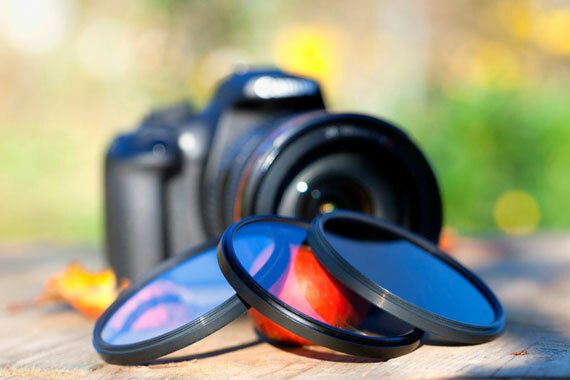 ND filters come solid, graduated, or center-weighted, and cut the light entering a lens by several stops. These are great for long-exposure shots letting the photographer dictate the shutter speed and aperture without worrying about a too bright image. Circular polarizers work by changing the way lenses takes in light. They eliminate reflections and darken blue skies for rich colors. When you’ve finished furnishing and equipping your studio space, it’s easy to forget about small things - for example, the strap. You can easily improve this situation by picking up a higher-quality strap that's more comfortable and functional than the default one. 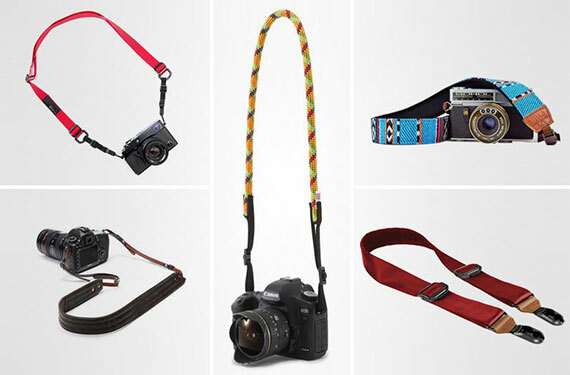 There’re straps to fit any budget, from very affordable bargains for casual shooters and up to harnesses for the pros. If a kit neck strap works for you, there’s no need to spend money on more advanced models. A sling strap is perfect for full day shooting as it’s comfortable on one’s shoulder and easy to adjust. A hand strap takes the strain off the shoulders like a wrist one that is tooled for lighter weight cameras. A holster strap is ideal if you need to have your hands free but keep your camera securely tucked by your side for easy access. Even after buying everything you need, it’s always good to make sure you can keep your camera gear in good working order. 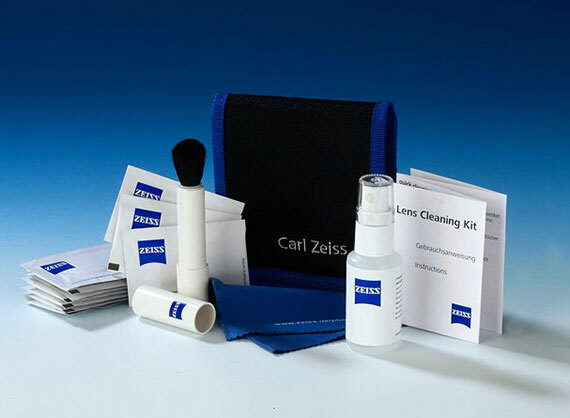 Clean optics are important not only for the quality of images, but the longevity of your equipment. Never clean lenses with a T-shirt or paper towel. Instead, get yourself microfiber cleaning wipes to gently remove dust, dirt and fingerprints from the surface of lenses. For some particular tough spots, a proper lens cleaning solution will do the trick. This liquid is safe enough to use on any type of lens coating. Don’t forget about dreaded sensor dust. In most cases, this can simply be remedied with an air blower. The nozzle helps direct air current exactly where it's needed. 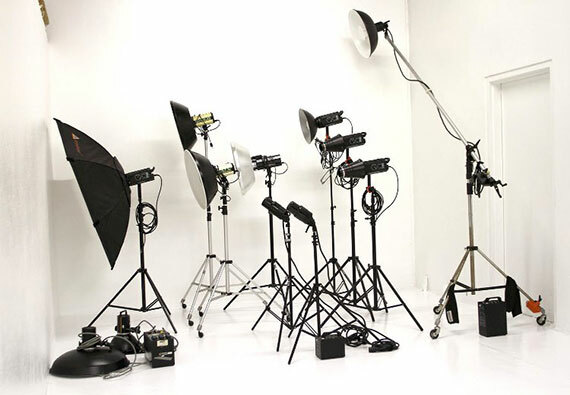 When starting your photography business, there is some equipment that is necessary for your photoshoot studio setup and some that can be postponed. It’s absolutely vital to have a quality camera that suits your needs, a good selection of camera lenses for the type of work you will be doing, a computer to keep the business running, lighting and camera accessories to help you produce flawless pictures. 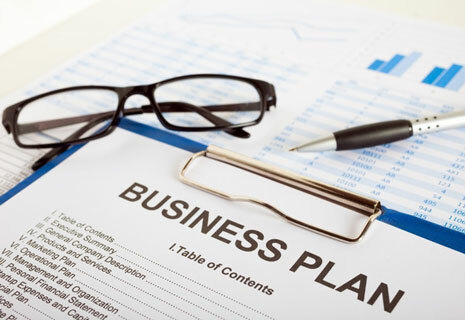 To save yourself money and guarantee a successful start of your business, choose your gear wisely and prepare a photography business plan. Later in your career, investing in more exotic equipment can give you an edge in the industry but it is most likely not a good idea if you’re more entry-level.